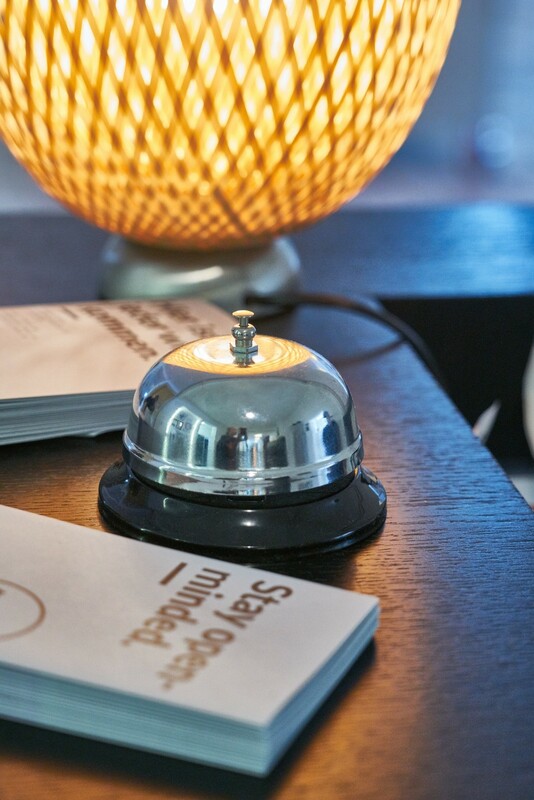 Run by twenty former refugees and ten hotel professionals, in cooperation with artists, architects and students, magdas HOTEL is something different: a place for meetings and connections, going beyond regular hotel experience. A stylish lounge, cafe, library, and garden bring together tourists, neighbors, park visitors, the local creative scene, students from the art academy next door. Readings, exhibitions, concerts, film nights, discussions and social dinners mean the hotel is always alive with the exchange of ideas. 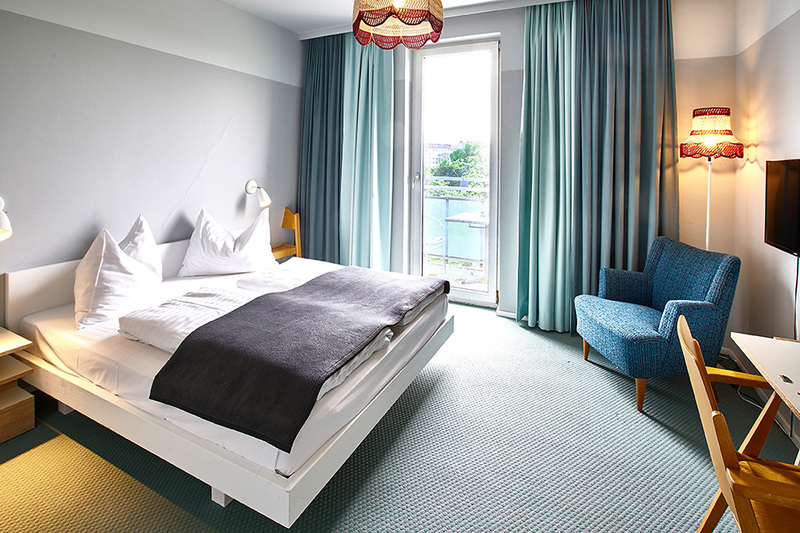 Business-focused, socially run magdas HOTEL is part of Caritas Vienna's Social Business group. Their aim is to address social matters through a market approach, wherever possible. The concept of a social business is based on Nobel Prize-winner Muhammed Yunus: all income is reinvested, to create more social change. The hotel does not receive any public funding that is not also available to other companies. magdas HOTEL must be self-financing, without losing sight of its ultimate goal: improving the lives of otherwise marginalised people. 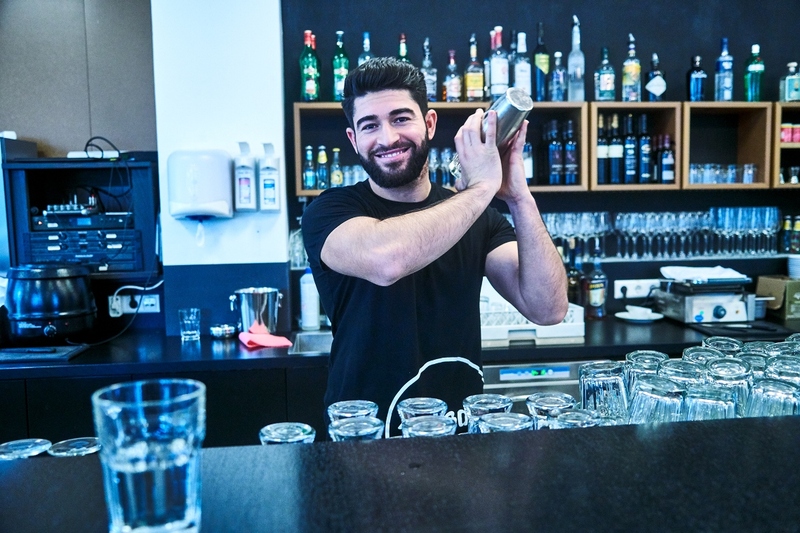 Migrants with a refugee background face problems in finding work in Austria. Challenges include a lack of German, a reluctance on the part of some employers, and a long wait (of months or sometimes years) before the approval of asylum status, which is a requirement for legal employment. 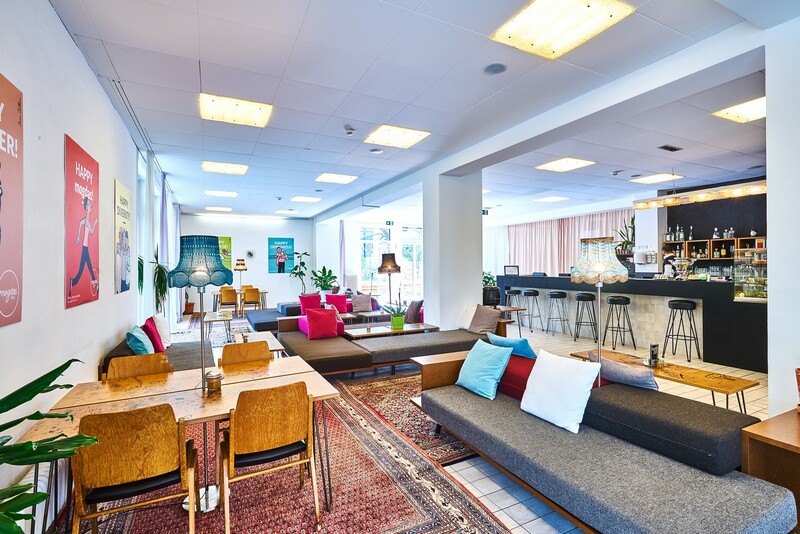 Founders were convinced that staff who come from around the world bring real advantages to a hotel business – skills, talents, languages and cultural insights – that give magdas HOTEL a significant advantage over its competitors. The experience since the opening of the hotel confirms this. From modest resources – come great things… The project is based in a former Caritas retirement home and financed via crowdfunding of € 57,306, plus a € 1.5m loan from Caritas Vienna. To enable the adaptation of the building, on a limited budget, upcycling was a key element from the start. With help from renowned architects AllesWirdGut and artist Daniel Buechel, the nine-month turnaround involved taking fitted cupboards from the original nursing home and turning them into benches, tables, and lamps. 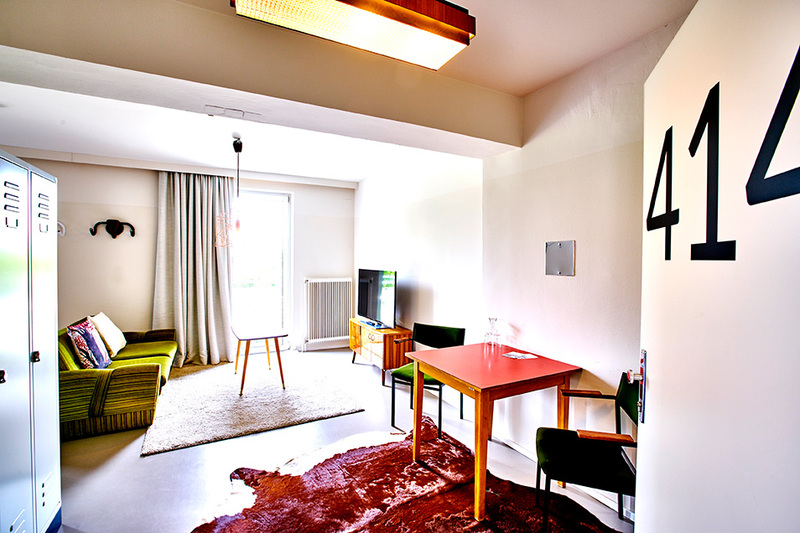 Old doors became new mirrors – and even luggage racks from Austrian trains now hold suitcases in each room. Enthusiastic volunteers got involved at every stage, from knitting lampshades to growing herbs in the garden. Students and staff from the neighboring Academy of Visual Arts have produced art to decorate each room, meaning every guest has a unique view. 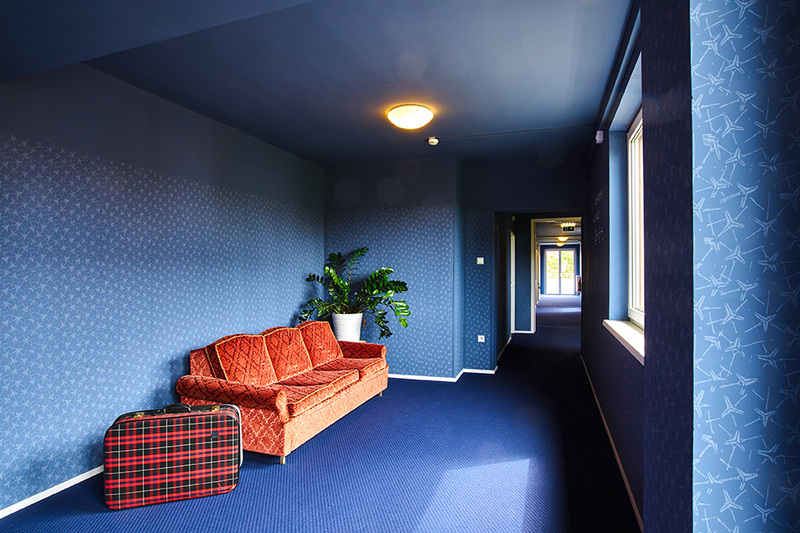 The design of each room was completed by furniture donated by the public, and also Caritas's own used furniture shop, CARLA. This all goes to show that commitment, flexibility and creative ideas can more than make up for limited financial means. 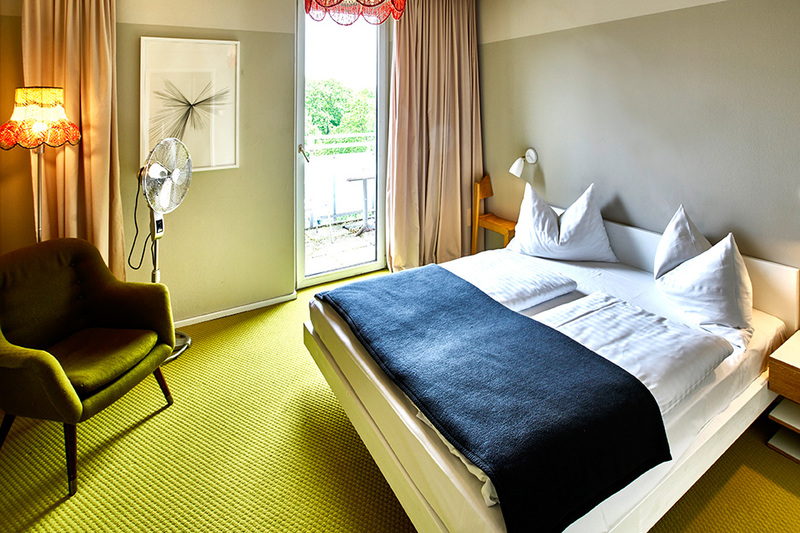 In 2015 magdas HOTEL was rewarded with the Austrian State Prize for Design.